I don’t think it matters if your home is small or large, does anyone ever have enough closet space? 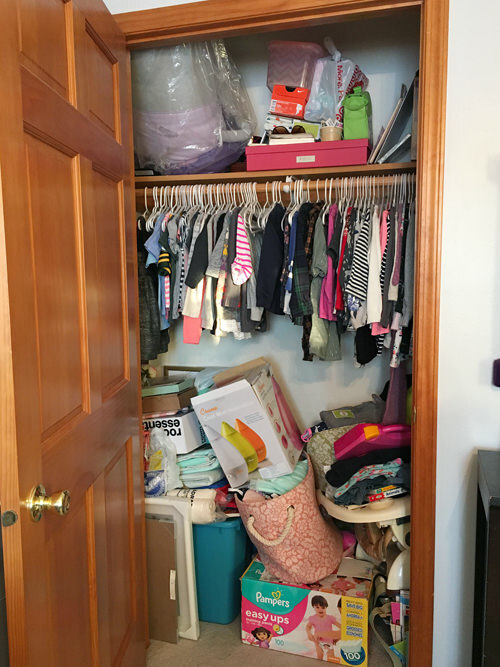 The answer, for most of us anyway, is no, to the no…and no some more… Closet space is at a premium, and even if we are lucky enough to have a nice walk in, do we want it in shambles, or do we want to be able to find what we need, when we need it? 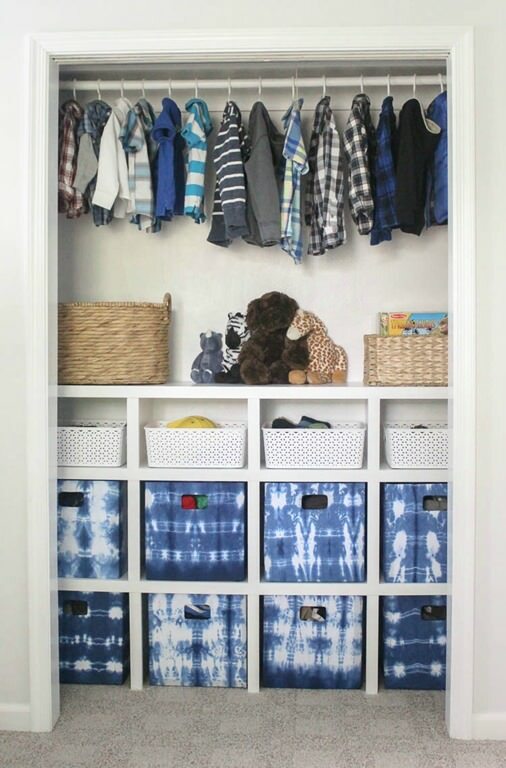 I vote for the latter, so let’s get started with our round up of DIY closet organizing ideas & projects! 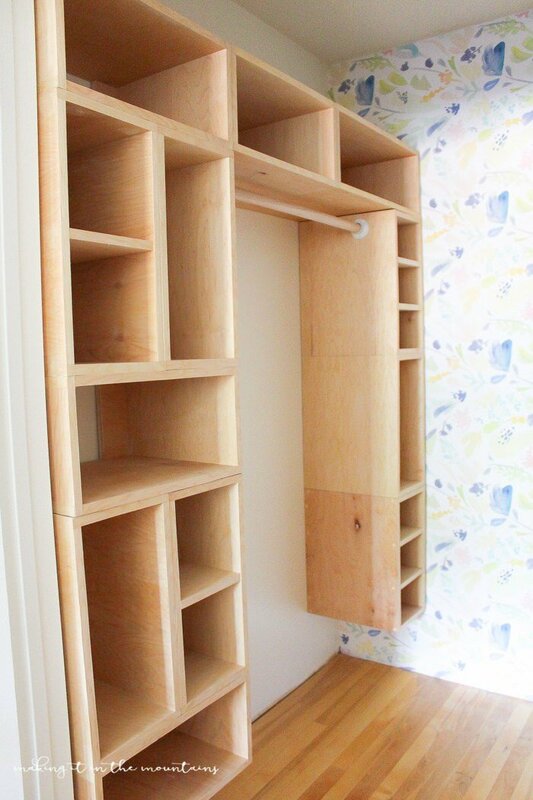 Learn how to build this DIY closet organizer from ‘Lovely Etc‘. This tutorial takes you through making these cubby shelves step by step. We love this ideas because you can make it look pretty with baskets and fabric bins! This is also great for tiny bedrooms that don’t have enough space for a dresser. 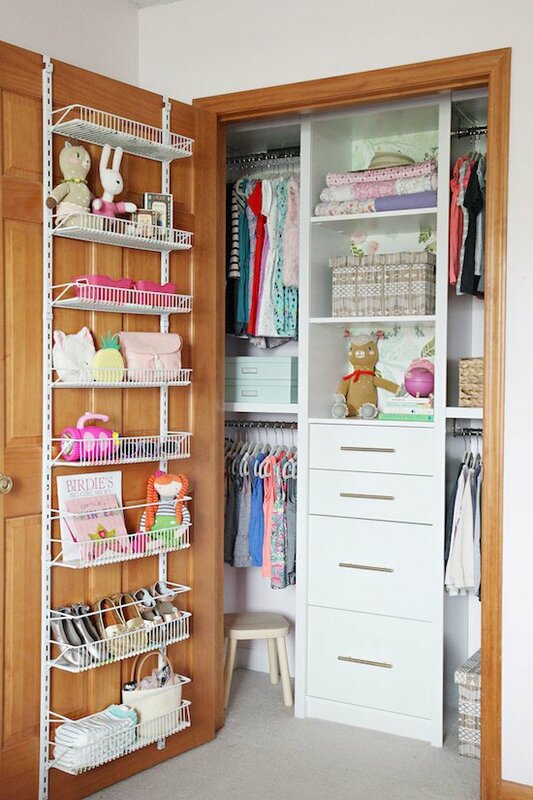 Elsie at ‘A Beautiful Mess‘ found a way to extend her closet space with this organization idea. And it’s so pretty, it’s actually wall art! Simple project, easy to follow tutorial! Got kids? Then you have lots of stuff. 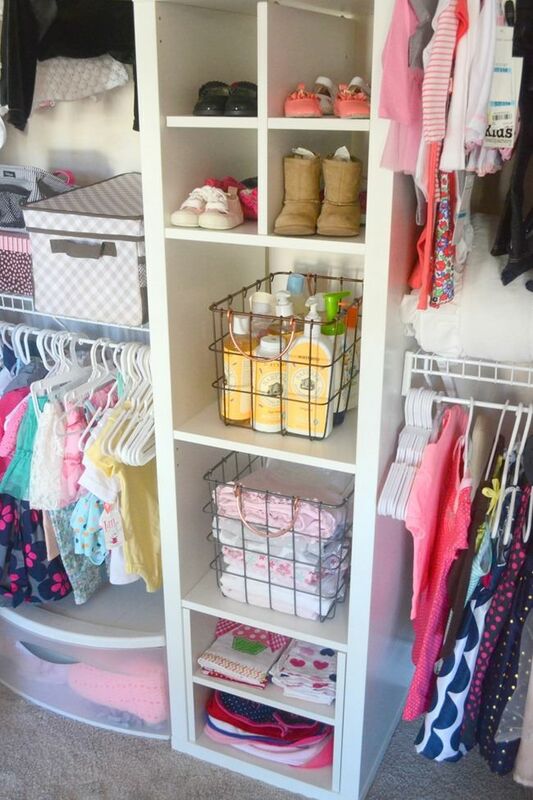 Take a lesson from ‘The Frugal Homemaker‘ and get your nursery closet organized with a system that makes life a whole lot easier. This project starts with the center being an Ikea shelving unit! Here is another little girls room closet organizer that was a DIY, but they used pre-made closet components that they customized. Here is the before and after! From ‘I Heart Organizing‘. 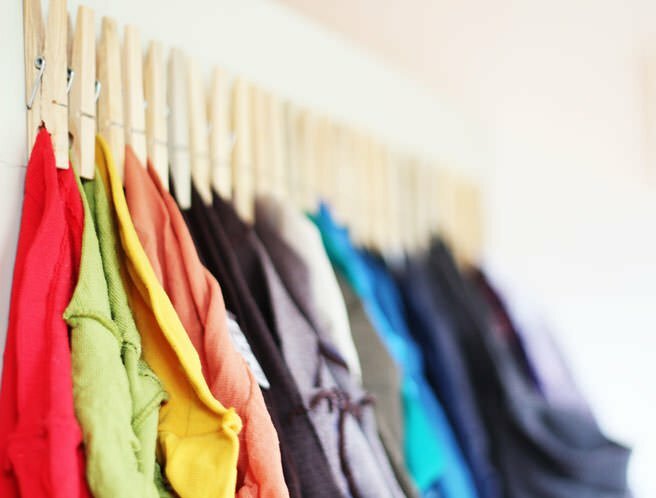 Want to double your clothes hanging space? Then use this DIY closet organizing hack from ‘Shabby Creek Cottage‘. 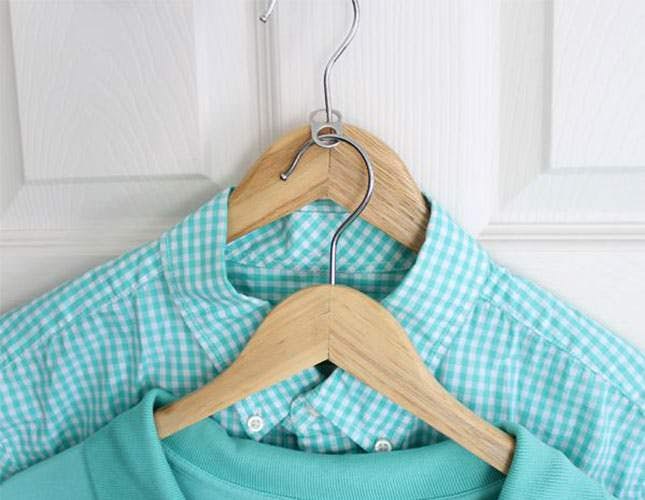 Use pop can tabs to slide over the neck of your hangers, allowing you to double (or even triple!) hang in each space! 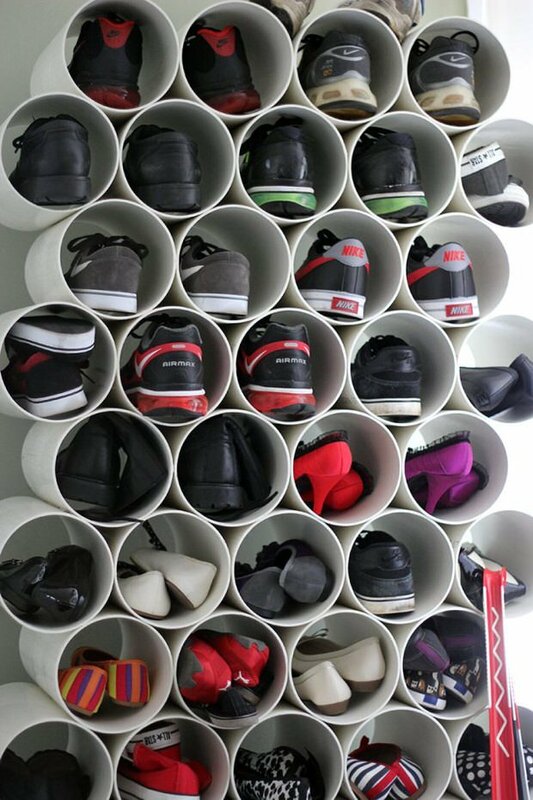 ‘Cookie Loves Milk’ has a DIY shoe rack for us made from inexpensive PVC pipe… Perfect for all your shoes! Go check out how they did it! 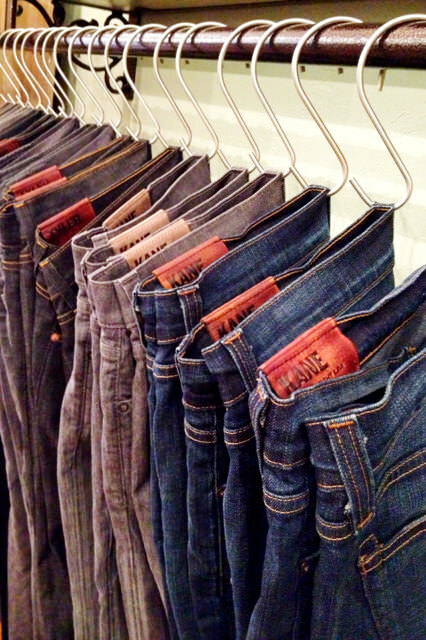 This Etsy shop is selling these perfect sized stainless ‘S’ hooks that are perfect for hanging your jeans all in a row! 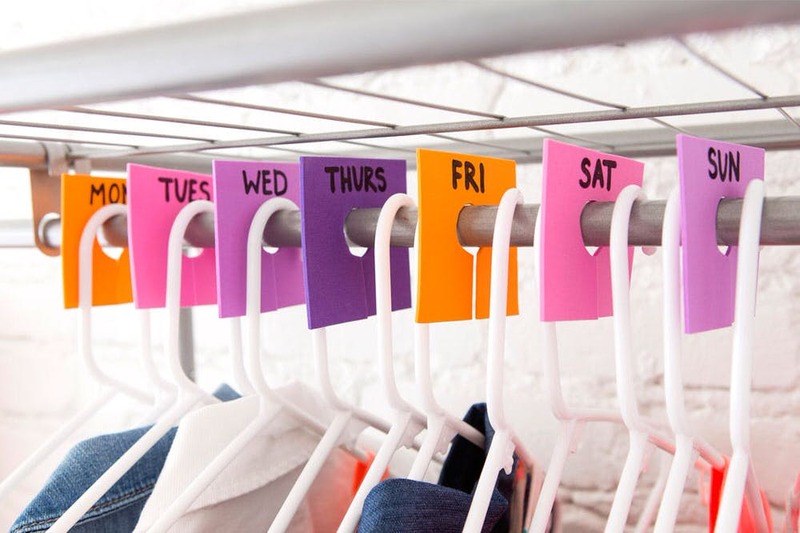 Are you just loving these DIY closet organizing ideas? Well then try our other post, DIY shoe storage projects , or check out our post on DIY pantry organizing! 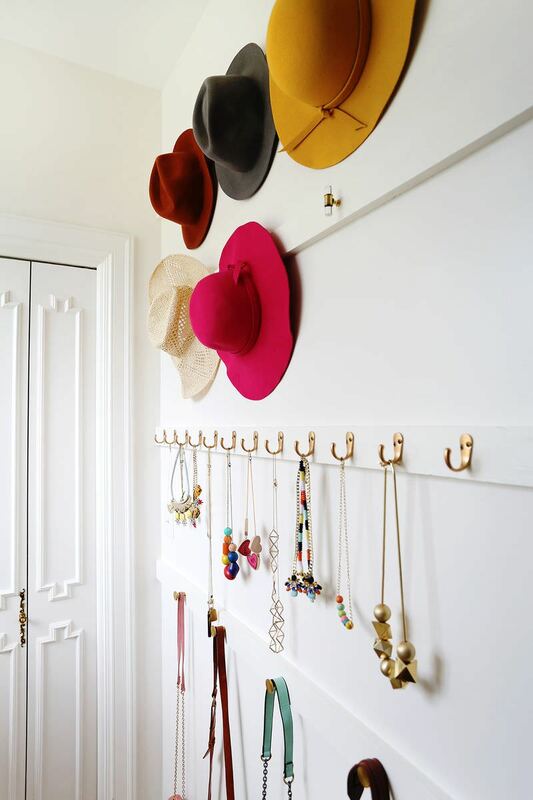 Love the closet makeovers. The thing with all the shelves that hangs on the door will also be perfect for my limited space. Can i have one over there! Wow!!!! Looks great. I like the shoe rack.